Fall Fishing Makes for Happy Customers! Ron & Brandon White brought in these two beauties on October 30th! 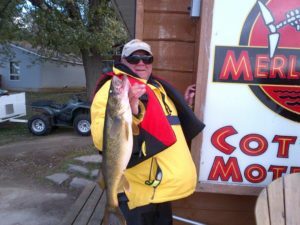 Another great catch on their last day of fishing at Merland…thanks for sharing the picture with us Ryan! “Here are a few pics of our recent fishing trip. Thanks for a great time and your tutoring on how and where to catch big fish.” Mike Kellestine and Gil Aubertin. Mike & Gil brought in this monster Pike along with a really nice bass and some walleye. 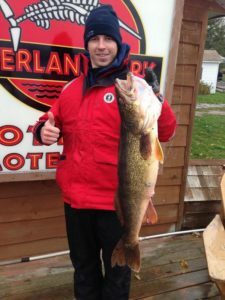 Home > Fishing Reports > Fall Fishing Makes for Happy Customers!